For additional information about this book, visit the website www.trailerparkgospel.com. For Stacy Weber, faith comes in mysterious ways . . . and sometimes the Good News shows up in not-so-good places. When Stacy Weber and her husband moved to a beautiful new home in California, she thought they’d arrived in paradise. Yet when Stacy struggles to get out of bed in the morning, she realizes her real journey has only begun . . .
Weber’s debut memoir takes us on a profound, often hilarious quest, from the trailer parks of San Francisco, to the bodywork table of an “unconventional” therapist named Phillip. As Weber confronts her darkness head on, she learns some surprising truths, especially about her faith. With her engaging personality, Weber embraces her inner chaos with brawn and heart, challenging Christians to step up and be Christian. Her authentic, immensely relatable journey toward healing inspires us to see Jesus’s touch in everyone we meet. Trailer Park Gospel teaches us how to jump into our lives as Jesus meant them to be—full of relationships, love, and forgiveness. And, of course, to look for the Good News wherever we go. Stacy J. Weber has never been one to sit on the sidelines of life. Her belief in and approach to Christianity is the same. She strives for a deeper understanding of Scripture and comes to experience what Jesus’s Good News truly looks like. She has learned that Jesus teaches how to jump into, become involved with, and stay sane in this messy life—a life that requires relationships, love, forgiveness, and His power to obtain healing and meaning. 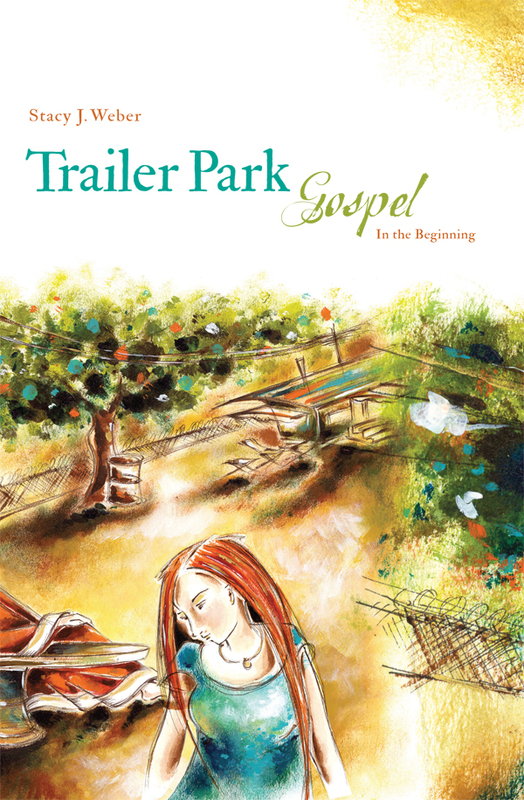 In Trailer Park Gospel, Stacy writes with an undercurrent that challenges Christians to step up and be Christian. She has realized that sometimes you have to be blunt to find the truth. Stacy J. Weber is a scientist, a cartographer, and a writer. She grew up in Southern California and has explored the West from former homes based in Bellingham, Washington and Durango, Colorado. Stacy now lives with her husband in the San Francisco Bay Area. Trailer Park Gospel is her first book.